If you like someone and want to talk to them, then you will need a great opening line to get them to warm to you. In this situation, flattery definitely does get you somewhere and there are no better icebreakers than funny pick up lines and cute pick up lines. Everyone loves to receive compliments and to be told how wonderful they are, but you have to do it in the right way so that you don't come across as cheesy or worse. And that's where cute pick up lines come in. 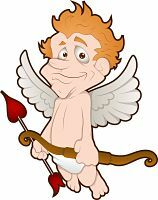 So to help you, here is a collection of the best cute pick up lines for guys that should soften the hardest of female hearts. You wanna know the best thing in my life? It's the first word of this sentence. Are you an alien because you just abducted my heart? Let's commit the perfect crime. I'll steal your heart and you can steal mine. You're pretty and I'm cute. Together we'd be pretty cute. You look familiar - did we have class together? I could have sworn we had chemistry. You add meaning to my life. If you hold 8 roses in front of a mirror, you'll see 9 of the most beautiful things in the world. If I had a star for every time you brightened my life, I'd be holding a galaxy. Because I just scraped my knee falling for you. Is your body from McDonald's? Your eyes are bluer than the Atlantic ocean and baby, I'm all lost at sea. There's 21 letters in the alphabet right? Oh wait, I forgot U R A Q T.
I'll give you a kiss. If you don't like it, you can return it. Does your watch have a second hand? I want to know how long it took for me to fall in love with you. You look a lot like my next girlfriend. I think you've got something in your eye. Oh never mind, it's just a sparkle. Are you my appendix because I don't understand how you work, but this feeling in my stomach makes me want to take you out? Because I just keep getting lost in your eyes. Has anyone ever told you that your eyes are clear like the ocean? Because I can see straight into your soul. Of all your beautiful curves, your smile is my favorite. If I had a rose for every time I thought of you, I'd be walking through my garden forever. My friends bet me I couldn't talk to the prettiest girl in here. Do you want to use their money to buy drinks? 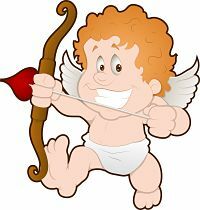 I had to come over to tell you Cupid called. He says to tell you he needs my heart back. It's not my fault I fell in love. You are the one that tripped me. I know someone who likes you. If I wasn't so shy, I'd tell you who. Was your father a thief? Because someone stole the stars from the sky and put them in your eyes. Do you want to use me as a blanket? I have had a really bad day but it always makes me feel better to see a pretty girl smile. So would you smile for me? Are you an interior decorator? Because when I saw you the room became beautiful. I just had to come over and talk to you. I'd take my last breath to say "I Love You"
Hi, my friend thinks you're kinda cute, but I don't. Because your eyes are just so beautiful! All the blue is in your eyes. Are you a girl scout because you tie my heart in knots. Your eyes are as blue as the ocean, and baby I'm lost at sea. I lost my teddy bear can I sleep with you? You say "To be the only star in the sky." We must be near an airport because my heart just took off when I saw you. Please don't go or else I will have to call the cops. Because you stole my heart. I'll put a tear drop in the ocean. When you find it is when I'll stop loving you.